Enquire for Sushant Lok Branch. Education for the future is most accurately represented as a journey — a journey of exploration. This journey is guided by compasses rather than maps. The ‘explorers’ in this journey are those who possess strong analytical skills, a knack for foresight as problem- solvers, adequate creativity, and most necessarily, humaneness in their thoughts and action. It is with this motivation that MADE EASY Group has laid the ground for delivering innovative education with a progressive school in Gurugram, affiliated to CBSE. 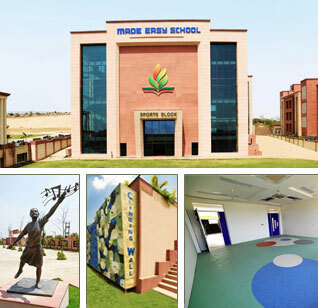 Spread across 25 acres of sprawling campus in Bandhwari, Gurugram, the senior secondary international school hosts naturally lit, spacious, smart classrooms, an indoor sports complex for year- round sports activities, and many such thoughtfully crafted amenities to enable your child to embark on his/her journey to a bright future. MADE EASY SCHOOL is a progressive school with seamless class modules that are designed to keep the individual learning goals of your child in mind. Our age-appropriate curriculum focusses on all-round development of the child encompassing Cerebral Development, Social Development, Emotional Development, Physical Development and Spiritual Development. Promoting a learning-centered education that builds and helps a lifelong learning community realise its potential while fully appreciating the national, global and multicultural perspectives and the inherent universal values. 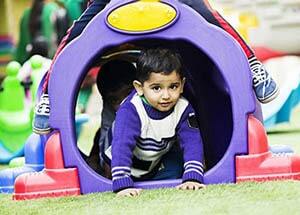 Nurturing social responsibility in children while reinforcing their individuality. Fostering a culture where teachers are mentors, collaborators & active participants in the development of children. Equipping children with innovative and entrepreneurial skills. Developing leadership in children by helping them to learn, unlearn and adapt as an ongoing process. Inculcating relentless pursuit of excellence as a joyful way of life for every individual in the school. Ensuring sustainability as the key motivator in all aspects of life and living. 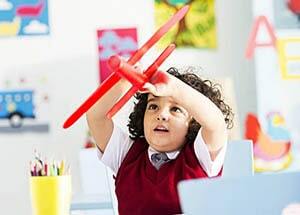 STEM and STEAM shall form an integral part of our academic rigour. Mrs.Lata Vaidyanathan is a veteran educationist who is committed to promotion of child- centered education. During her illustrious career of more than three-and-a-half decades, she was the Principal of Bhartiya Vidya Bhawan school at Chandigarh, the founder Principal of Eicher School at Parwanoo and the Principal of Modern School Barakhamba Road, New Delhi for the last fourteen years. 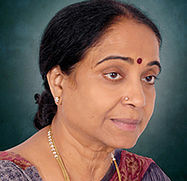 She was honoured with the 'National Award to Teachers' in the year 2003 by the President of India. She is also the recipient of numerous awards including the 'Dr. Radhakrishnan Award', 'Bharat Shiromani Award', 'Madhav Gourav Ratna Achievement Award', 'International Lifetime Achievement Award 2009' and 'Global Warming Reduction Award 2009', 'Educationist of the Year Award 2013' and 'Lifetime Achievement Award by the Patanjali Trust 2014'. Home to the biggest indoor playground in the National Capital Region, at MADE EASY SCHOOL, we have all major sports programmes available, so that our students can keep playing their favourite sport all year round! Our infrastructure and facilities include excellent illumination and full weather protection, an indoor sports complex (for basketball, gymnastics, skating, badminton squash, chess and table tennis), multi-use training facilities and professionally trained faculty members. MADE EASY SCHOOL provides a classroom environment that fosters excellence, and motivates students towards better performance. Our classrooms are aesthetically designed, well furnished and integrated with smart boards. Aided by cutting-edge technological support, our skilled teachers provide guidance to every student at the individual level. The emphasis is on making every classroom session interesting and interactive.